Your 2017 season was certainly an exciting one, with a strong finish towards the end of the year. How do you compare your first six months of the year to the last six months, and what do you credit your success to? The 2017 season was one of the best of my career and the second half of it was so much fun. It’s always easier when you’re playing well but up until my back-to-back wins in China and Turkey I was probably giving myself a B-minus grade for the season. The late season victories and going close for the Race To Dubai title made it an A-minus season with one putt at Augusta away from being an A-plus, so I can’t complain. There’s not one thing that I changed that I could credit the wins to, I just played well when I was in contention and took a lot of confidence from it. Ahead of Abu Dhabi, what are your plans for not only the championship here in the capital, but also the 2018 season? I’ve played twice in Abu Dhabi now and went close to winning in 2013, so I have some great memories of the place and my plans are to try and go one better and start my season off in a positive way. This year is obviously a Ryder Cup year so a good start to the season on the European Tour is important to me and being able to get a result in Abu Dhabi against a world-class field will give me a lot of confidence for the season ahead. As always, it’s going to be a strong field of players in Abu Dhabi. What does that say about the Championship and what is the feeling amongst yourself and the players about returning? I love starting the season here in Abu Dhabi because you always want to test yourself against the world’s best players and being able to do it so early in the season is beneficial to all of us. 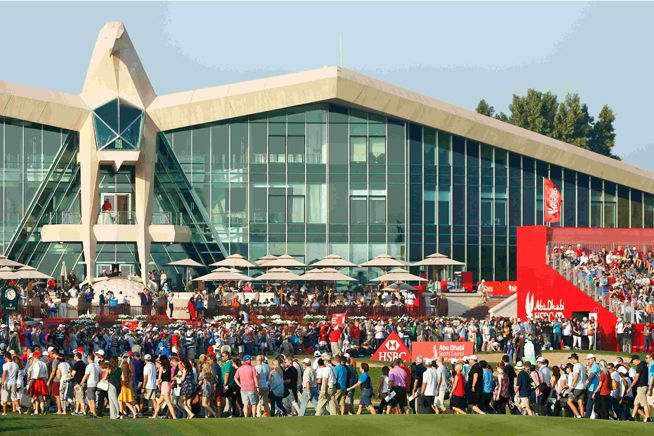 The Championship has always been one of the strongest events of the European Tour schedule and rightly so attracts the best players from all over the world. The fact that the likes of Tiger, Phil and the current world no. 1, Dustin Johnson, have played here in the past, as well as the list of past champions, shows how popular the tournament is amongst the world’s best. The PGA Tour is filled with a great mix of players of all ages – what does that say about the modern game of golf? The standard of golf these days on both the PGA Tour and European Tour is incredible. There’s so much young talent coming through and giving us more established players a good run, every year there seems to be a new star. To win a tournament, any week of the year, is tough and you have to bring your best golf to finish at the top of the leaderboard. 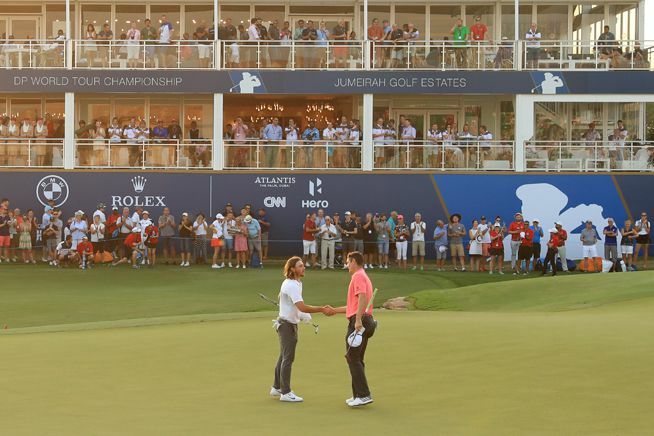 You had a great battle with Tommy Fleetwood – the reigning champ – on the Race to Dubai. Planning to take away the Falcon Trophy from your British compatriot this weekend? I really enjoyed my battle with Tommy at the end of last season and we were paired together quite a few times in the last few weeks so it did sometimes feel like we were playing head-to-head. In Abu Dhabi though, I’ll be playing my own game and doing my best to shoot as low as I can. If I end up holding the famous Falcon Trophy at the end of the week, then I’ll probably have a little bit of fun with Tommy. You’ve been a pro for almost 20 years now. What are some of the greatest things you’ve learnt that you could share with the younger generations of golfers? It has been a rollercoaster ride that’s for sure and if I could do it all again, I wouldn’t do much different. I’m extremely proud of the 20 years hard graft I’ve put in and pleased with what I’ve achieved. I’ve won a Major, and Olympic Gold and tournaments around the world, I’ve got some great memories and I’m really happy with where I’m at and believe I can achieve more. I think a piece of advice I would give is enjoy it. I’ve enjoyed everything I’ve done which has helped keep me motivated, fresh and ready for the challenge.